How to make it on your own. 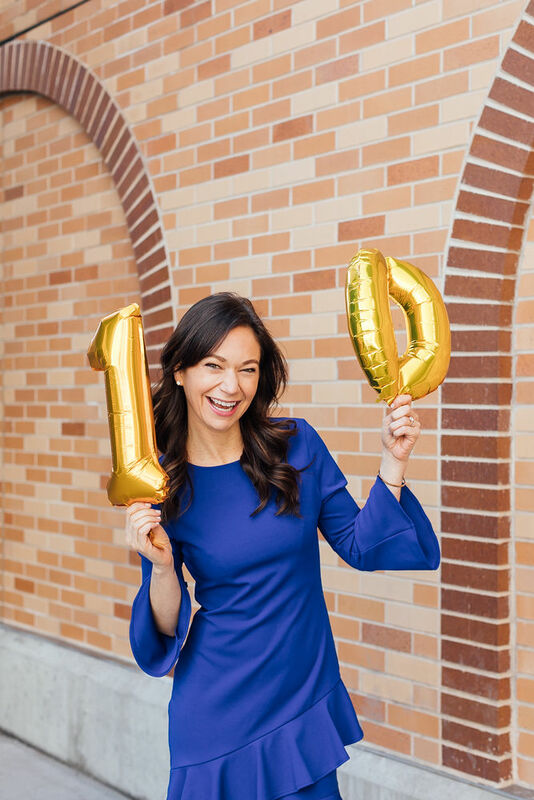 You guys, it’s been ten years since I launched my blog! At the time, writing about my addiction to dying my hair the bluest shade of black (my first post ever) on BeautySweetSpot was a hobby. I was working full-time at a beauty PR firm in the city and missed writing editorially. I loved my first job as a beauty assistant at Cosmopolitan and was in the process of interviewing for a similar position at another publication. All of a sudden, thanks to the support of the beauty industry, my blog took on a life of its own and here I am. …here are the top ten business lessons I learned throughout the past ten years as an entrepreneur. When I told my parents I wanted to quit my full-time job and leave behind a salary and benefits because I was manifesting a vision, they thought I was nuts! My business plan was a vision board (still is today) and I had to try to explain what my freelance career would look like to them. I knew from the response I got from launching the beauty blog that I could make it. I knew in my gut and saw my vision for the first few months of building to the next few years of success. Throughout my career, I’ve always trusted my intuition. I’ve turned down partnerships offering to pay heavy fees if they weren’t a good match (not an easy thing to do) and have made almost every decision based off of my gut feeling. It never, ever fails. 2. Step out of your comfort zone. In order to succeed, you must take risks and stepping out of your comfort zone is a big one. I’m a creature of habit. I’m fine taking the same fitness classes weekly, making the same smoothie for breakfast every day and being home at the same time every night to hang out with Joe and our pets. I like comfort, but who doesn’t? In order to grow, it’s important to become comfortable in discomfort. It’s the only way forward and up. For me, posting pictures myself on Instagram was a big deal. At first, all I posted were flat lays and products. However, through listening to my audience and watching my engagement, I soon realized that I would do better on the platform if I was in the photos. My engagement shot up and Instagram is a huge part of my business. Never just do something for the sake of doing it. Before making a decision, posting content or doing in general, pause. Living in a world full of immediate gratification, it’s hard to stop and think sometimes. Before you do anything, ask yourself: What am I trying to achieve by doing this? How is this going to benefit my company in the short and long term? 4. Find your passion and then your drive. I’ve been in an incredibly lucky position where throughout my entire career, I’ve always been extremely passionate about my work. You know what they say, find something you love and then make money doing it. I always loved writing, but as writing turned into visual storytelling and on-air reporting, I realized I loved being a journalist in many mediums. Passion isn’t enough alone though. Once you have that fire in your heart, you need to rely on your drive to make it happen for yourself. 5. Surround yourself with people who lift you up and make sure to lift them up, too. Networking is by far one of the major keys to success. I’ve had such solid relationships in the beauty, wellness and media industries that I’m proud to call most of my contacts my friends. These people support my work and likewise, I support theirs as well. There’s enough room in this world for everyone to be successful. Especially if we all rise humbly together. 6. Know when to pivot. I can’t say this enough. When I began my career in journalism 10 years ago, there were no digital media publications and Facebook was the only social platform that still exists today! (I know, I’m aging myself.). I began in print and now, most of my income comes from storytelling on Instagram. Knowing when to shift gears and focus your time in the appropriate manner is crucial. 7. Remain authentic and ethical. This is especially important as a blogger, but it holds true for everyone. When you compromise your values or don’t believe in the mission you’re working for, you can’t possibly be fulfilled or have longevity. Ethics, especially as a journalist, is the foundation to your work. I truly believe that my career has been successful for the past ten years and I was able to build a media company, because I can be trusted and always remain true to my brand. I can’t tell you how many times I’ve been approached to do legit, time consuming work for trade. “If you do X, we’ll give you a free facial.” Don’t get me wrong, I love receiving product mailings and free spa treatments for editorial consideration, but they are just that – for editorial consideration. Freelance isn’t free and facials don’t pay the rent. Always know you're worth. Research rates, leave wiggle room for negotiation and then pass when projects aren’t worth your time. Saying no is very powerful and allows time for other opportunities that may arise. It’s impossible to run a successful business on your own. Understand your strengths, recognize your weaknesses and find help. I outsource a photographer and videographer to help me create quality content. Even though the iPhone camera is amazing, I’m not the best photographer and I’m OK with that. You can’t do everything! 10. Let go of your fears. Get out of your own way! Most entrepreneurs have a great fear of failure and find themselves asking, “What if it doesn’t work?” What if? If you don’t try and take risks, you won’t know. Instead of looking at things that don’t work as failures, you need to see them as learning opportunities in order to grow. Try and then try again. I also learned that while you can plan to the best of your ability, you can’t always control what lies ahead. Since beginning my blog, I’ve changed the name and focus three times. What started as a celebrity beauty news site is now more of a personal platform based on seeking and spreading joy. For those of you who have been following me for some time, you know that finding joy has been difficult lately. I don’t know what lies ahead for the next 10 years and beyond, but I do know that I’m grateful to have had this run and look forward to continue to follow my passions. Thank you for continuing to follow my journey, support and readership. Because of you, I’m still going strong… Check out my Instagram for more content and updates!